As new-comers to Oregon, we haven’t known what to expect – especially weather wise. A chilly winter day found us on a road trip from Salem to Eugene and we were surprised at the scenery. Yes the sky was gray, but a magnificent expansive gray. Yes the fog was thick, but by midday it floated above forested hillsides revealing evergreens that looked almost black in the overcast. The reason for the trip was a vineyard and winery tour. We, at Tasting Pour, love visiting vineyards. Nothing beats experiencing the soil first hand, gazing at the hillsides, and passing sheep peacefully grazing in pastures along the journey. There are only so many vineyards one can visit in a day – especially the shorter days of the Pacific Northwest fall and winter. And for those not lucky enough to live here, a very long vacation would be required to really experience the wine offerings. We found an alternative at Route 5 NW Wine Bar in Eugene. Here visitor’s can experience armchair AVA (American Viticultural Area) tasting. Route 5, a recent addition to the Marche line of restaurants, is designed to allow guests to taste the wines of a number of AVAs in one location. Featuring North West wines, the retail shop and wine list are divided as Ribbon Ridge, Yamhill Carlton, Walla Walla, Columbia Valley, etc. “This is an affordable way for people to teach themselves about Northwest wines, tasting AVAs by the glass,” shares “Wine Queen” Kirsten Hansen. Drinks are available in sizes from “splash” to “the flask.” Kirsten is a wealth of wine knowledge explaining vintage differences and sharing detailed information about individual producer practices. In addition to casual chats with guests, Kirsten plans to offer fun wine education tastings beginning in 2014. Route 5 NW Wine Bar also features snacks ranging from spicy roasted hazelnuts to light meals such as flat bread pizzas. In keeping with the Marche Restaurant Group philosophy, ingredients are sourced locally when possible. 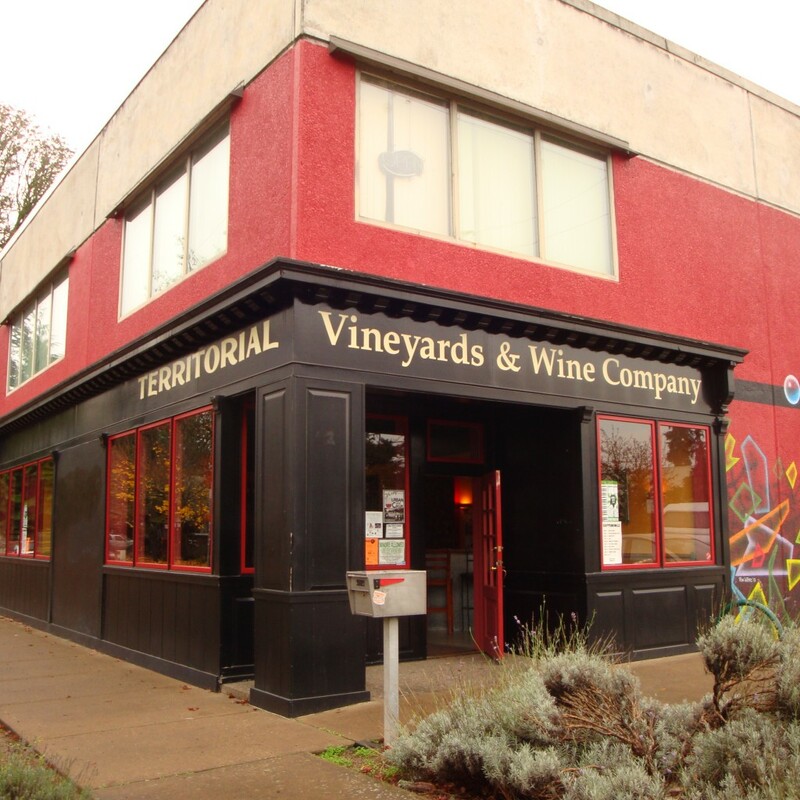 For an urban winery experience, we visited Territorial Vineyards and Wine Company. You still get that fermented juice and barrel smell, yet you are a short drive or walk from other fun stops. Owner and “Oregon Grape Herder” Alan Mitchell produces all of the fruit from Bell Pine and Equinox Vineyards- winery owned vineyards about 20 minutes away. This is a small production winery, 3-5K cases a year, with a cool neighborhood vibe. Artwork adorns the building inside and out and Thursday and Friday nights are cozy with regulars coming for the wine and the local live music. We did a barrel tasting of their soon to be released 2012 Stones Throw Pinot Noir and you might have to get in line behind us for a bottle. 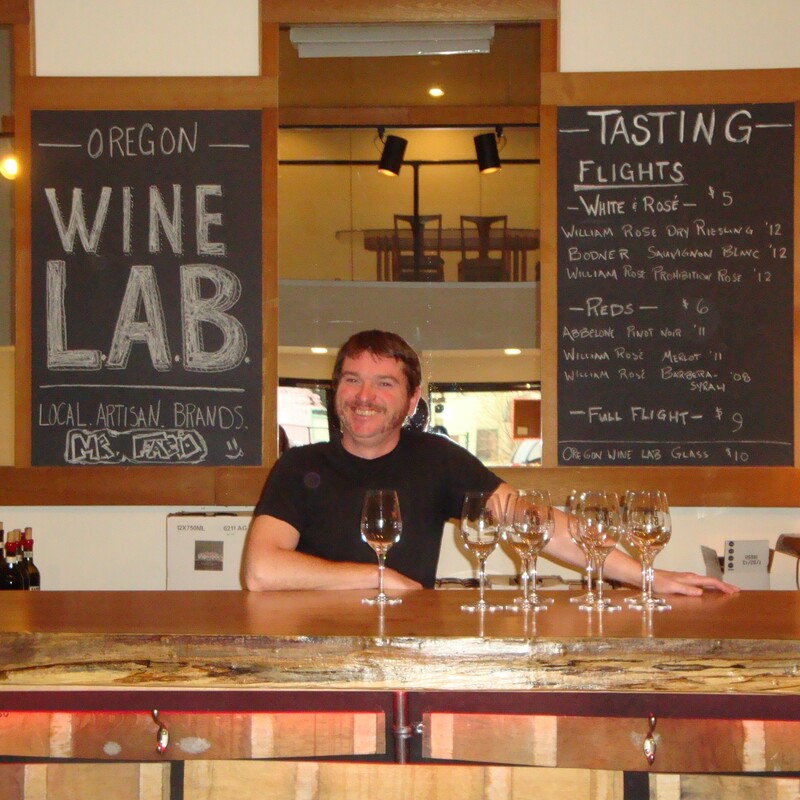 There is a new kid on the block in Eugene, Mark Nicholl’s tasting room called Oregon Wine L.A.B. – Local Artisan Brands. Mark greets visitors with a lovely Australian accent and a casual welcome. The bar is a gorgeous piece of polished maple and decorations include a turntable and kitschy mid century lamp. An honors graduate of the University of Adelaide’s wine making program, Mark offers food friendly wines and a comfortable but chic place to hang out and taste. Only open a short time, his future plans include an on-site production facility, a sensory classroom, lounge area and a dart room – because he likes darts. 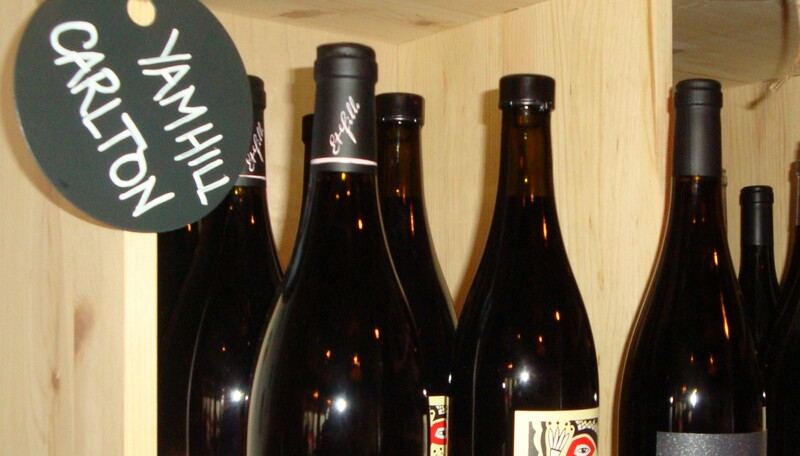 Mark’s personality, and the atmosphere of his tasting room, are reflected in his brand William Rose. The label features a 1930’s Bentley, name Demon Bird, which is the preferred mode of transportation for William Rose – a general troublemaker who roams the countryside. We left with two bottles of Gewurztraminer and an unusual 50/50 blend of Barbera and Syrah. Also available are local brands such as Bodner Wine Company. Why not take the opportunity to do some international wine comparisons. Capitello Wines has opened a new tasting room in the former Lord Leebrick Theatre building. Owner and winemaker, Ray Walsh, offers both Oregon and New Zealand Sauvignon Blanc and Pinot Noir. Dessert and sparkling wines are also on the menu. 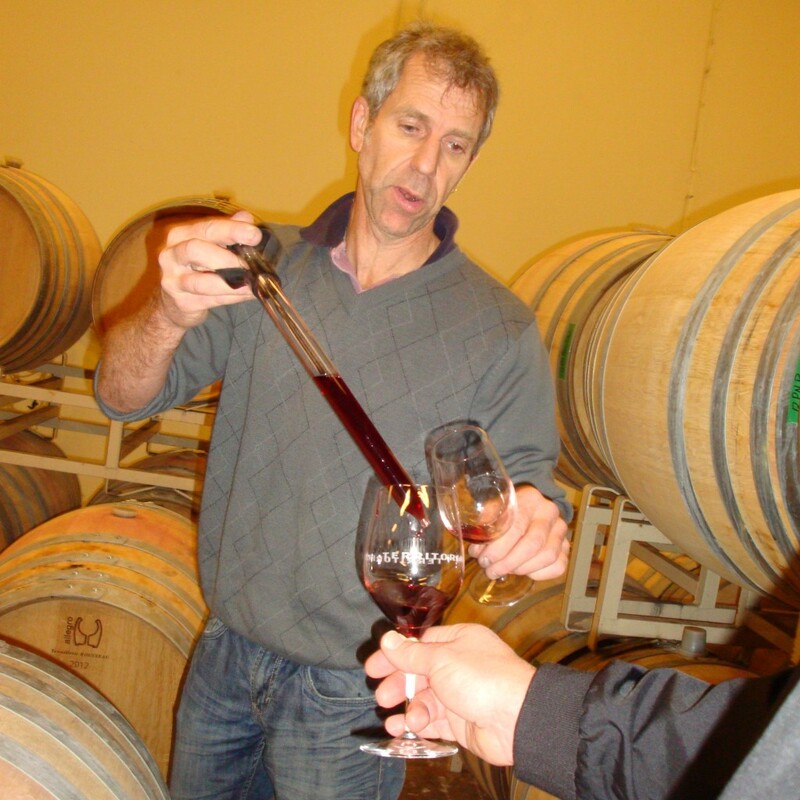 Ray started his winemaking career in New Zealand and has lived in Oregon over 20 years. His New Zealand grapes come from his aunt and uncle’s vineyard. Ray’s Oregon grapes come from vineyards with a focus on organic or sustainable practices. “I work with growers I have known many years. I like to work on a handshake.” And that is the vibe you get from Ray. A visit to Capitello Wines Tasting Room usually means running into Ray or his wife Jennifer. They invite you to grab a book from their small library and relax over a glass of wine. By the way, Ray is the winemaker at Territorial. The wine world can be small and wonderful. The wine world can also be very welcoming, especially in Eugene. A large local wine club is just one of the reasons that Pyrenees Vineyard and Cellars expanded into the area. From Umpqua Valley, Pyrenees is the first Southern Oregon winery to open a tasting room in Eugene, and the location will be a fusion featuring wine tasting during the day and a lounge experience in the evening. They have hired a mixologist to concoct wine based cocktails. Expect unusual combinations like Sauvignon Blanc, Cava, rosemary and mint. 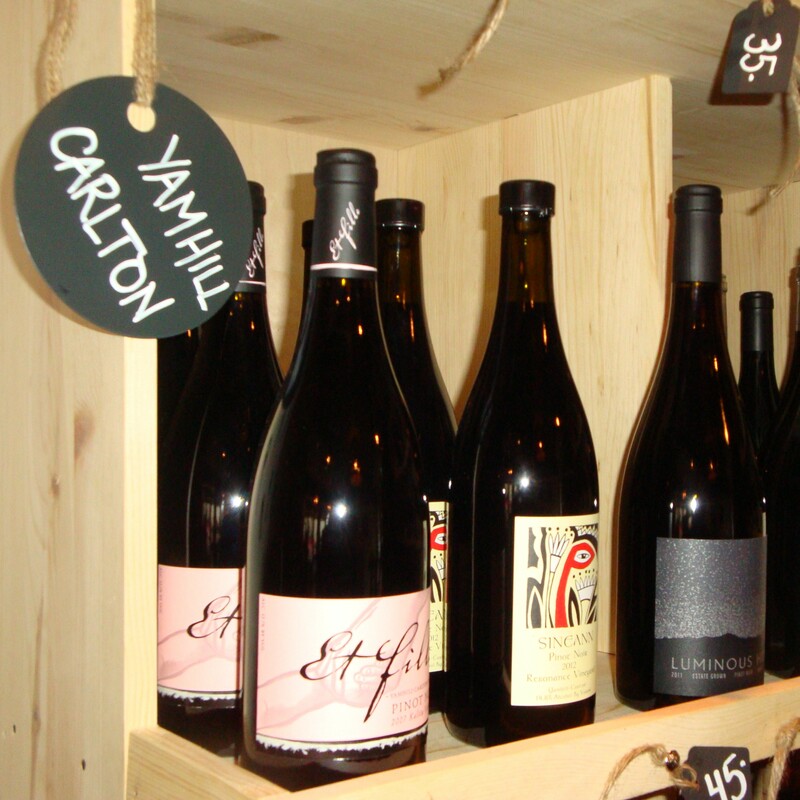 In addition to Pyrenees’ artisan wines, you can enjoy a selection of beer or sparkling wines. “When people visit the tasting room at our winery it is like being in our living room,” says proprietor Robert Stryk. “We want to bring that atmosphere to our tasting room in Eugene.” Pyrenees wines are only available through the winery, tasting room, and online. 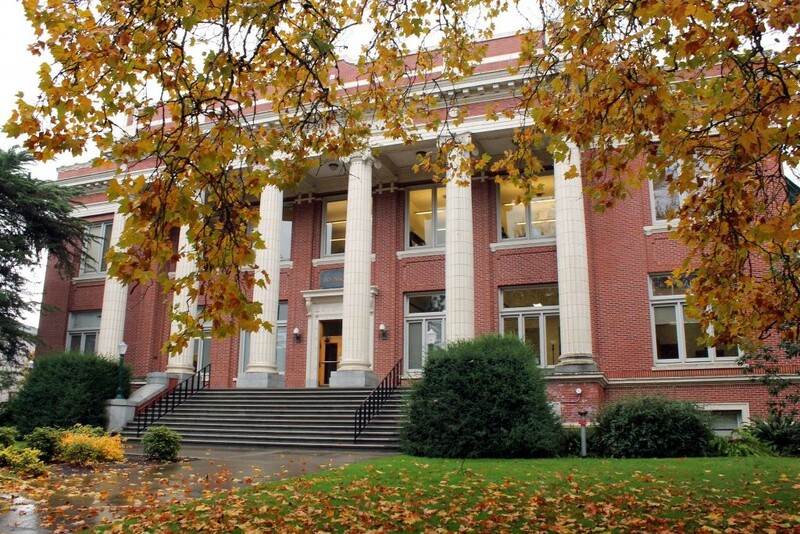 Just another reason to visit Eugene and experience a wide variety of wines in one tasting trip. 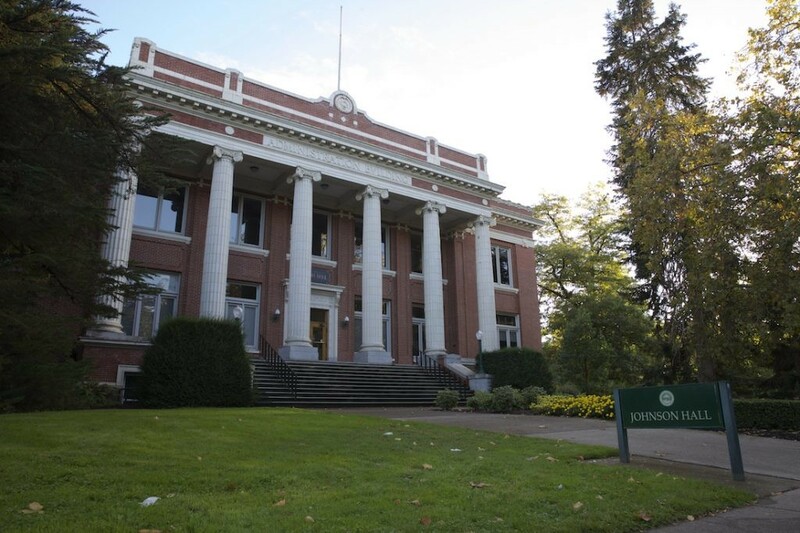 Editorial Note: The Lounge at Pyrenees will be celebrating their grand opening February 7, 5-10 pm, 946 Willamette Street, in the old Woolworth building – downtown Eugene. We’ve Waited For What Seems Like A Very Long Time For The Start. Jade Helm is the primary author of Tasting Pour (tastingpour.blogspot.com). She enjoys helping people explore wines from simply tasty and affordable to cellar worthy. Jade is credentialed by the Society of Wine Educators and the Wine and Spirits Education Trust. Jade lives in the Willamette Valley.